Running: it’s not just for sporty ladies with six-pack abs & bouncing ponytails. It’s for manically busy moms. It’s for intellectual bookworms. It’s for curvy girls, skinny-minnies, and everything in between. It's for YOU. Join our self-paced 5K Course for beginners, and discover the transformative power of running. We’ll bring the wisdom, the guidance and an amazing training plan that will get you to 5K, safe and strong. You just show up — and run. finally call yourself a runner! you can comfortably walk one kilometre in around 12 minutes (if you're not quite there yet, our Up & Moving course is perfect for you). A Warm-Up Week to set your intentions, clear out self-critical beliefs, and prime your mind for that finish line — before the workouts begin. 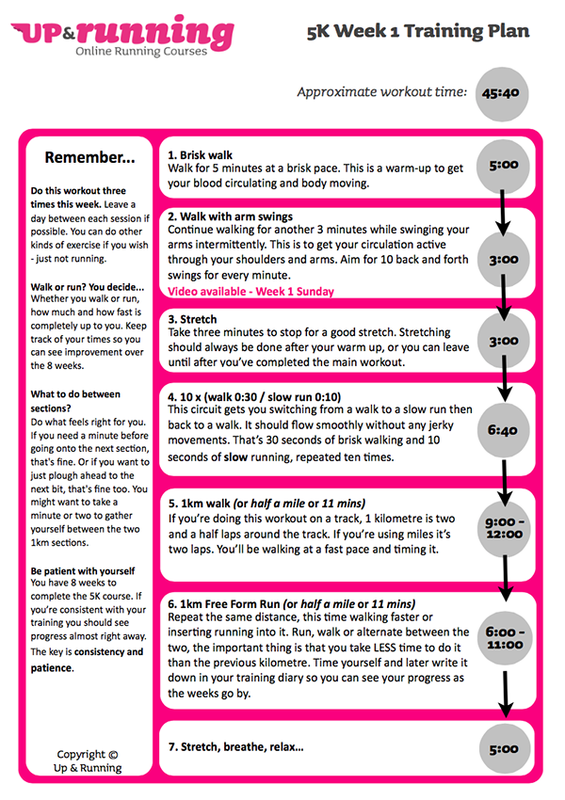 Eight weeks of practical, step-by-step PDF training plans created by expert running coach Julia Jones. Tried and tested by thousands of runners around the world. Just download. And dive in. 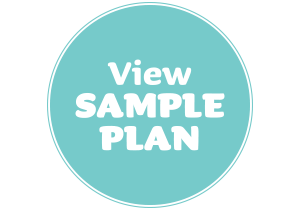 Click here to view a sample plan. Personal coaching support in our members-only forum — post a question, and we’ll answer it within 24 hours on weekdays & 48 hours on weekends... every time. Plus, you'll have the motivating company of your fellow runners! Access to a private Up & Running blog packed every weekday with inspiring & instructional videos, practical running advice, self-discovery activities, & interviews with women who run (and seriously rock). The Up & Running Gear Guide for total beginners, with essential information on running shoes and gear. That would be us! Up & Running was created by expert Running Coach Julia Jones and inspirational author & Community Director Shauna Reid. We’ve got a beautiful blend of athletic prowess & community-building superpowers. Just ask our happy, healthy, highly-excitable e-course participants. I'm so grateful to you both for creating this incredible program. I feel fitter, happier and more motivated than I have in years. I call myself a runner now and have so many running dreams and aspirations to pursue. What’s even better is that I know that with Up & Running I can achieve them… where have you been all my life? 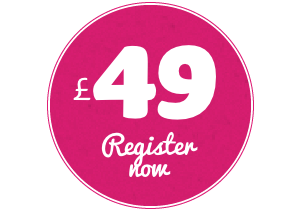 Your first step is to sign up for your chosen 5K race, then use our whizz-bang calculator below to find out what date you need to begin. Use the arrows on the calendar to find your race date, click on the date, then the day you need to start will appear below. Your training starts 8 weeks before the big day. We will get you Up & Running — safely. You don’t need to be an Olympic athlete or even a once-a-week jogger to join. We’ve designed it with total beginners in mind. And we’ll show you how to take care of your muscles — and your mind. We are your mentors, your cheerleaders, and your biggest fans. You'll have our constant support as you tackle this challenge. If we could show up at every single one of our participant’s 5K finish lines, we would — with frosty Gatorade and a gigantic bear hug. We know what we’re doing — and it shows. We’ve got testimonials galore. And we treasure each one. You will transform. If you commit to the 5K training with even 50% of your heart, you will transform. You’ll discover new muscles you never knew existed. You’ll find inner reserves of commitment and power. Click the red button above to sign up. You'll be prompted to create an account for our Course website. Once your payment has gone through, you'll see the 5K course dashboard. You can get started right away! 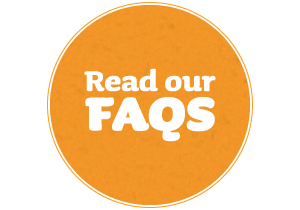 Check your email for a Welcome message and details on how to create your Forum account. That finish line? Consider it crossed. Register now. And get Up & Running.